Louis Pearl is onto a winner with his self-titled show The Amazing Bubble Man before he even starts. What child doesn’t love bubbles, and secretly, what adult doesn’t either? 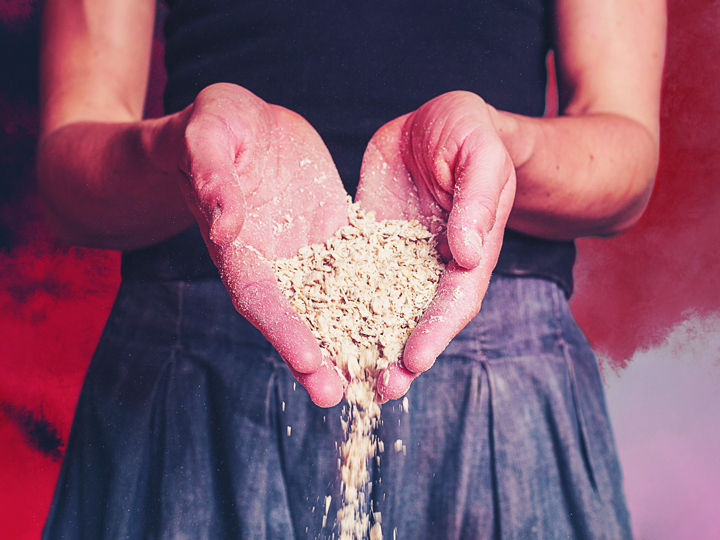 Today I took my five-year-old daughter to the Tobacco Factory Theatre to see whether this show was going to be as delightful as my instinct told me it might be. Sometimes with the theatre productions I have taken my girl to, it is hard to know whether she is really enjoying it or not. With this show, it was obvious. She giggled, she gasped, her eyes were often like saucers and many, many times she exclaimed her favorite word of the moment. “Mum, this is AWESOME!’ We see bubbles being worn, colourful bubbles, bubbles inside bubbles, square bubbles, smoke filled bubbles, bubble spacecraft, children in bubbles, disco bubbles and a whole host of other weird, wonderful and incredible creations. Its an absolute hoot and made me gasp out loud in places. Some of his creations were funny, but just as many were incredibly beautiful. He brings the science of bubbles into the show too, which is handy, as my girl left the theatre telling me we HAD to go home and make a bubble the same size as her. Immediately. Louis Pearl has a real rapport with the kids, and there is plenty of chance for audience participation. The delight on the faces of the children lucky enough to come up onto the stage to assist was genuine and wonderful to see. Once or twice, the bubbles pooped before his creation was complete. This didn’t detract, just reinforced how incredibly clever it is to do what he does with such a fragile, delicate and unpredictable medium. The show is held together beautifully by the funny, slightly strange and incredibly melodic music of his sidekick Jet Black Pearl. She somehow manages to conjure up exactly the right music to accompany the action, using an accordion, flute, loop pedal, beat boxing and her fabulous voice. It’s a little surreal, but works perfectly. Is it too much to say that this show was life affirming? Maybe. But I know I left the Tobacco Factory today feeling as light as one of this amazing mans bubbles, and my bubble is yet to pop. 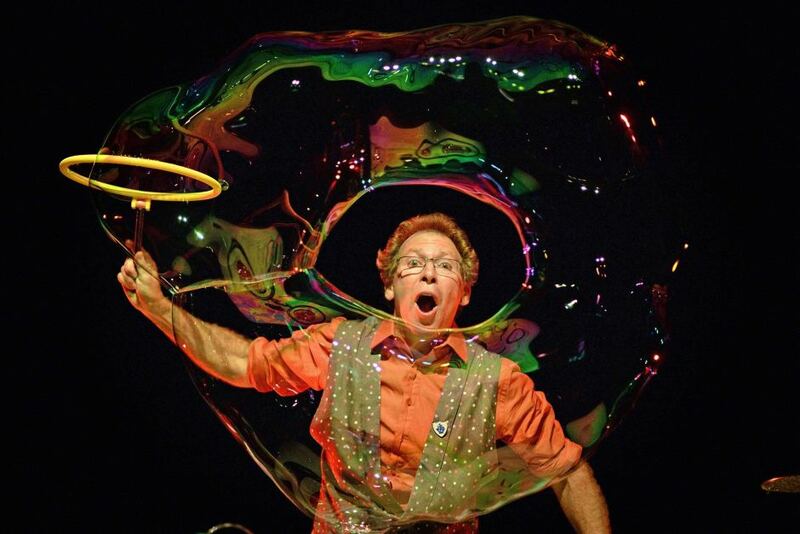 The Amazing Bubble Man was a one off show in Bristol, but there are other chances to see Louis Pearl perform his incredible show, and you can see other dates on his website. I really urge you to see it if you get the chance, its really wonderful stuff. Roll on December – Peter Pan comes to The Playhouse, Weston!